This is an invitation from my mentor Bo Sanchez of Truly Rich Club. Are you interested to be your own boss? Dreaming of being an entrepreneur? This is your chance. For limited slots only. The workshop schedule will be on April 27 & May 4 (Saturdays), 8:30 AM to 5:00 PM, Pasig City (beside ULTRA). Do you want more money for your family and God’s work? Do you want to create many income streams—and not just depend on your job? Do you want to “fire” your company and own your time? After 12 years of being an entrepreneur, my small businesses are very successful. Oh believe me, it wasn’t like that when I started. In fact, I failed in 8 businesses—and I lost lots of money, lots of time, and lots of pride. I was a big failure! But after all those hard lessons, I’m now a successful entrepreneur. I’ve run 12 businesses. I’m now able to finance many of the ministries that I run. Oh, the joy of doing that! Today, you could shortcut the process by learning from other successful entrepreneurs who can walk beside you and tell you where the landmines are. Deep in my heart, I’ve always had this burden that Filipinos embrace entrepreneurship—and become truly rich. I asked myself: Can I guide budding entrepreneurs so that they don’t make the same mistakes I made? Let me be very honest with you: I canteach a lot of things about entrepreneurship. But not everything. I felt I needed someone who can teach EVERYTHINGthere is to know about entrepreneurship. So I prayed to God for a wise teacher for you. That was when I bumped into “The Dean” Pax Lapid. We were speaking at the same event. (We spoke to 10,000 people.) We met up, asked each other to sign our own books, and talked like old friends. His credentials are sterling. He is a successful entrepreneur, a Dean in Entrepreneurs School of Asia,and a Professor of Asian Institute of Management(AIM). And for years now, he’s supported Joey Concepcion in making the GoNegosyo movement grow all over the country and the world. And immediately, I knew I found my teacher. As the months went by, I discussed with The Dean if he could give a unique Workshop for people who are thinking of starting their own businesses. I repeat: That’s my dream for you. To help you start your own business. To become your own boss. To create your own income. So far, I’ve helped thousands of Filipinos become Investors. But I want to go one step higher: I want to help YOU become a successful Entrepreneur. Seminars with a lot of talk are good but not enough. Instead, The Dean will give a hands-on, nitty-gritty, feet-on-the-ground, roll-up-your-sleeves, “actionable” powerful Entrepreneurs Workshop. Here’s what’s different: It’ll be all about YOU. You’ll come in the Workshop with 3 of your best business ideas—and we’ll test them. What will work? What idea will fly? What product will meet a need and create wealth for you? Next: You’ll learn how to create a plan and have a model for your business within the next 7 days! Why does it have to be fast? Here’s a fact. The biggest problem of would-be entrepreneurs is not the lack of ideas. They’ve got great ideas. Their problem is that they don’t have a bias for action. They like tinkering, thinking, planning—but they don’t launch. Through this Workshop, you can avoid that. Let me explain this point again. The Dean will ask you to bring with you 3 of your brightest business ideas into the Workshop. And from there, he’ll help you test it and see if it’s something that can fly and survive the real world. Some business ideas are born duds. Some business ideas are born winners. The Dean will help you see the difference. 1. You’ll learn strategies how to test your business opportunities—to see if they’re a winner or not. 2. You’ll learn how to spot problems of your potential business—and save yourself lost money and lost time. 4. You’ll create a clear and focused execution ofhow to deliver that promise. This plan will give you direction. 5. You’ll get guidance on how to call your product in a way that customers can grasp in a snap, giving your product automatic recognition. 6. You’ll spot the possible markets that you can serve with your product. 7. You’ll learn how to solve customer problems and meet their needs better than your competitors. 8. You’ll learn how to calculate profit vis-à-vis your product costs and market sales. 9. You’ll learn how to create a simple business plan—not just for “show”—but a real honest-to-goodness plan that will guide you in your day-to-day business journey. Sorry, but The Dean doesn’t want to waste his time. The Dean will only accept very serious people who really, truly, passionately, want to start a business. No tire-kickers. No dreamers-without-action. In fact, he’s putting 3 obstacles—so you’ll prove to him if you really are worthy to be one of the students of the Truly Rich Entrepreneurs Workshop. 1.The Workshop will involve Hard Work. You’ll be with The Dean for two Saturdays. But between those two Saturdays, you’ll be thinking about your product or service. That week will involve a lot of frenzied planning that may mean a few sleepless nights. But that’s the only way to start a new business. Other business seminars cost P50,000. (Google to find out.) And worse, you go home with lots of notes in your notebook. (Notes you’ll forget after 2 days.) And nothing else! But in the Truly Rich Entrepreneurs Workshop, you’ll go home with a real plan with a real product that YOU created. The Dean will only accept 49 students for theEntrepreneurs Workshop. So he and his team of coaches can give their full attention to you. When we reach 49, we close the doors. As I said, similar seminars like this cost P50,000 per person. 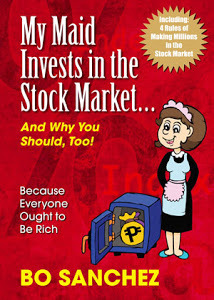 But because we want to help a lot of people start their businesses, your learning investment is P12,975 only. I don’t know of anyone else who does this. No one is as crazy as I am. Here’s my Guarantee: Even 12 months after the Workshop, you realized you didn’t gain anything from it, all you have to do is call or email—and we’ll give back every peso you paid for the Workshop. Not only that, we’ll even add P1000 as an “apology” for your lost time. No questions asked. Because I believe in The Dean. I know that every student will go home with a big smile on their faces, because they’ve got a business dream in their hands. See you there! 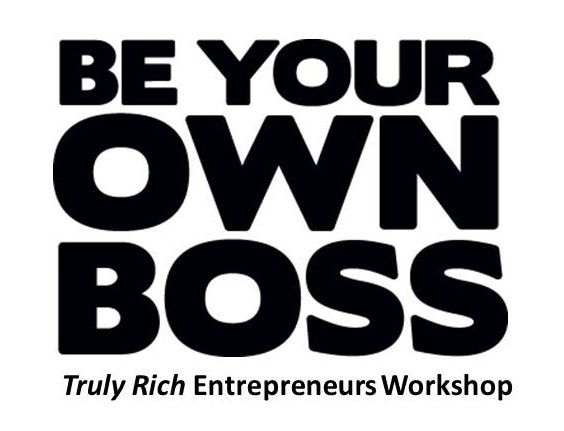 Truly Rich Entrepreneurs Workshop, April 27 & May 4 (Saturdays), 8:30 AM to 5:00 PM, Pasig City (beside ULTRA).